1602 Berry Knoll, Homewood, AL.| MLS# 837158 | Richard Jacks UABLIVING.com 205-910-2297 | Birmingham AL Real Estate | Contact us to request more information about our Homes for Sale in the Birmingham AL area. IMMACULATE home in PRIME location! 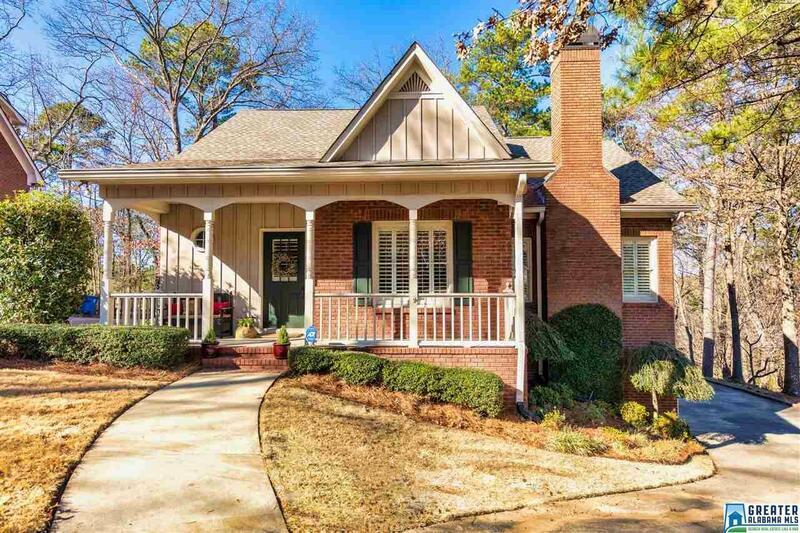 Tucked out of sight, but in close proximity to EVERYTHING, this stunning Homewood home has it all! Ext. features include a new roof (2016), irr. sys. w/priv. meter, fully fenced backyard w/ large flat area, gutter caps, many new windows, patio and a large private deck. Inside, you&apos;ll find crown molding & plantation shutters throughout. The COMPLETELY REMODELED kitchen has new cabinets, quartz counters, stainless appliances, eat-in area & pantry. The main level master suite has an updated master bath w/custom double vanity, frameless shower door & jetted tub. Upstairs, there are 2 bedrooms w/walk in closets, a full bath, and bonus room - perfect for a nursery, office, or playroom. 2 walk-in attics give SO much storage! Finished basement has extra insulation, a safe room, dedicated electrical for a generator, 3 large closets, custom cabinetry and a cozy den with fireplace. The garage also has a workshop, extra insulation, & more storage! Welcome Home! Driving Directions: From 65n, Exit Oxmoor Road. Turn Right Off Of The Exit Onto Oxmoor Road. Turn Right Onto Columbiana Road. At Light, Turn Right Onto Berry Road And Take An Immediate Right Onto Berry Knoll. House Is At The End Of The Cul De Sac.